RALEIGH — Funding for continued work on oyster restoration, beach renourishment and a plan for a private-public partnership to purchase a hopper dredge dedicated to keeping Oregon Inlet open are among the top coastal items in this year’s budget, legislators say. Rep. Pat McElraft, R-Carteret, said she and other appropriation subcommittee chairs finished their work late last week, sending it on to the main budget writers for each chamber with a “wish list” of priorities should additional funds become available. 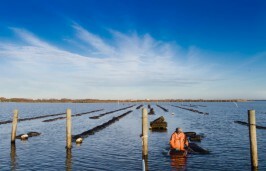 That list includes additional funding to finish work on oyster sanctuaries, said McElraft, who is co-chair of the Agriculture and Natural and Economic Resources subcommittee. She said she also expects about $5 million in the budget for the state’s new storm damage mitigation fund to assist with beach renourishment. Other coastal items are focused on aquaculture. “We were able to get in the crab pots (cleanup), some other oyster funding and some aquaculture funding for Carteret Community,” she said. Rep. Chuck McGrady, R-Henderson, one of the main budget writers for the House, said he and his budget co-chairs in both chambers have sent their work to House and Senate leaders to work through remaining options. “The House and Senate co-chairs have been meeting now for several weeks. We are done with our work and it’s now with the two corner offices,” he said in an interview Tuesday with Coastal Review Online. McGrady declined to predict when the bill would emerge, but said he expects it to happen fairly quickly. Appropriations chairs announced Wednesday that members should be ready to review the budget plan early next week. McGrady said one decision yet to be made is whether to include some or part of a bill filed last week to address GenX and emerging contaminant issues in the budget bill. Identical bills were filed late last week addressing more than $3 million in GenX-related costs at the Department of Environmental Quality and Department of Health and Human Services and appropriating $8 million to the North Carolina Policy Collaboratory at University of North Carolina Chapel Hill to set a statewide testing and monitoring system for emerging contaminants like GenX. He said the options being considered are whether to continue with a separate bill, put the GenX-related appropriations in the budget and spell out how they will be used in separate legislation, or include GenX legislation wholly in the budget as a special provision. While the document may change some, McGrady said as it stands, this year’s budget has far fewer special provisions. “I wanted to live to see a budget that didn’t have a lot of policy in it and at this point it doesn’t,” McGrady said. With the 2018 budget adjustment bill on track for introduction any day now, this year legislative leaders could at last make good on the biennial promise of short session. But the fast track process being used to develop the plan is drawing criticism for being far more opaque than usual. 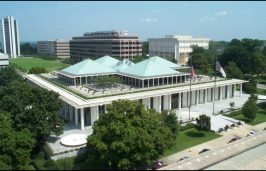 The General Assembly produces a budget plan every two years with varying degrees of modification coming in the second year during the legislature’s short session. Typically, that adjustment process moves through each chamber’s appropriations committees in a similar fashion as the first year of the process. The result are two separate budget bills that are then worked out by a conference committee. This year, however, there aren’t separate bills coming from each chamber and House and Senate leaders appear to be moving quickly into the closed door conference portion of negotiations. They announced that the budget would be put into a new conference report for Senate Bill 99, an auto insurance bill that was passed by both chambers last year, but with differences that were never reconciled. New House and Senate conferees were named this week for the bill. On Wednesday, Democrats blasted the idea that the budget could be taken up as a conference bill, which would mean that no amendments could be offered and passage would require only a single up or down vote in each chamber. “What’s disappointing is that I really thought more folks had respect for the institution of the House and the process,” House Minority leader Darren Jackson, R-Wake, said in a tweet Wednesday night. McGrady acknowledged that the process is less open, but said what was gained was less grandstanding and more collaboration between House and Senate negotiators. 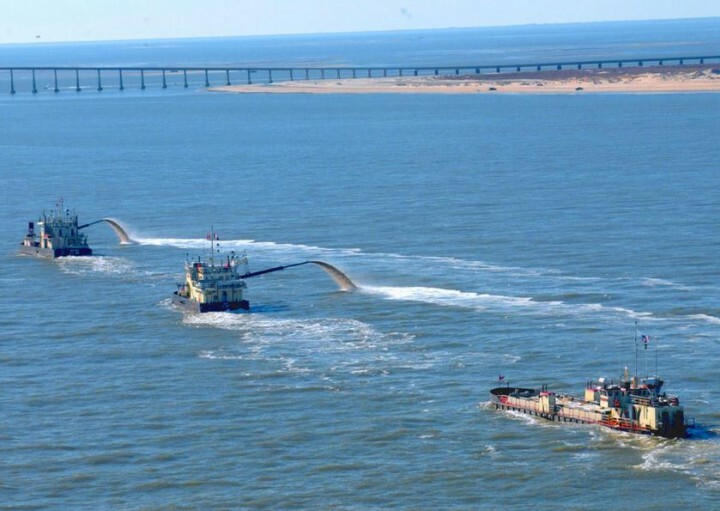 In both dollars and tonnage, a new hopper dredge that will be dedicated to Oregon Inlet represents the largest item on the list for the coast in the budget. McElraft said she was not convinced at first that the state should be getting into the dredging business but that there is now a workable plan for a public-private partnership between the state, Dare County and an as-yet-unnamed private dredging firm for the state to finance half of the cost of a new dredge and then recoup the funds through lower costs for dredging projects. Dare officials signed off on the plan earlier this month. McElraft said the money would likely come out of the state’s Shallow Draft Navigation Channel and Lake Dredging Fund and the provision requires the new dredge, which has an estimated total price tag of $30 million, to be used only for work in North Carolina waters. The state’s share would be roughly $15 million. 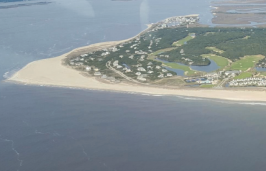 Its main mission would be keeping Oregon Inlet open, she said, but would also be available for other inlet dredging work. Rep. John Torbett, R-Gaston, chair of the House’s appropriations subcommittee on transportation, said the new dredge is important. McElraft was skeptical of that large of an expansion, saying that the new northern dredge would free up other dredges to open inlets elsewhere on the coast. Last week, Sen. Bill Rabon, R-Brunswick, said he had not seen the Dare County plan yet, but would review it once finalized. Rabon said he’s generally opposed to the state getting into the dredging business. McElraft said one item that won’t be taken up this year is a proposal she’s working on to rededicate revenue from the state’s deed stamp tax for conservation funds. She said there wasn’t time and funds available to make the change, but that if re-elected she’ll bring it back up next year in the long session and, if not re-elected, she’ll make sure someone else does. Revenue from the tax used to flow to the Parks and Recreation Trust Fund and the Clean Water Management Trust Fund, but that was ended by the legislature in 2013. McElraft said she wants to see a dedicated flow of revenue for the conservation funds. “I think we have a lot of people on board with it, because it just makes sense to make that money go back to where it was supposed to have gone,” she said. McGrady said he also supports the idea of going back to the previous use of the deed stamp tax, which now flows to the General Fund instead. Although he declined to share specific amounts ahead of the release of the budget McGrady said he is satisfied with the amounts proposed in this year’s plan.